Today, Speaker Jose Oliva abruptly delayed a hearing on House Bill 7093 — which would arm teachers — after over a hundred Parkland survivors, students, and gun control advocates stormed the State Capitol to protest the bill. "Today was a new low for the Speaker and a sad day for our democratic process. Speaker Oliva's delay of today's hearing was shameful and his effort to silence Parkland survivors was simply despicable. I would urge the Speaker to listen to the voices of Parkland survivors who came to Tallahassee and drop his dangerous plan to arm teachers. 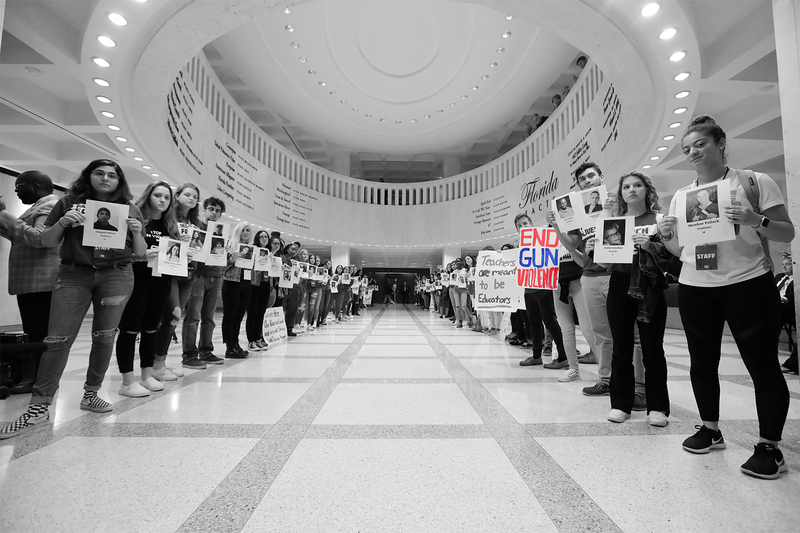 "A strong majority of Floridians agree: House Bill 7093 won't make our schools safer and no amount of cowardly delays or last minute maneuvering is going to change that. I am so proud of our Democratic legislators who are standing up for Florida's children by fiercely opposing this reckless bill. Nothing matters more than keeping our kids safe, and Florida Democrats will do all they can to block this legislation."